It’s not too late to join the Art Student’s League! At this meeting we will be planning the annual trip to Miami for Art Basel as well as discussing upcoming events in the Spring. Art majors of all focus areas are welcome to join at any time. 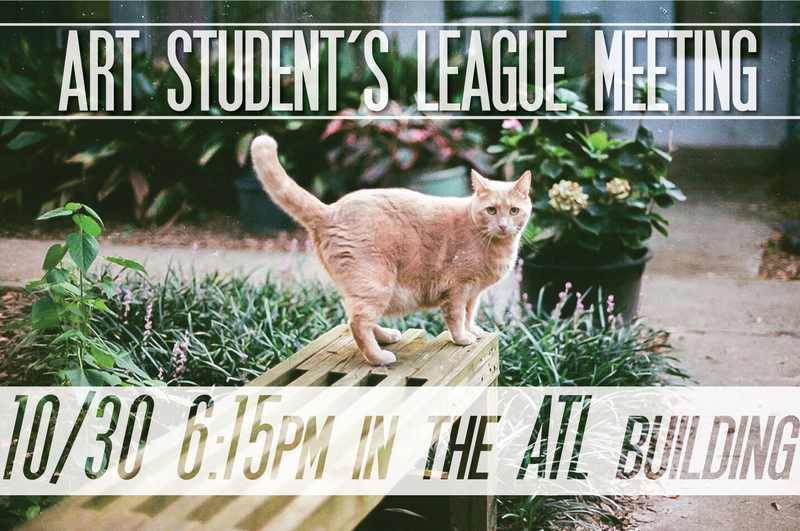 FSU’s ART STUDENTS LEAGUE is a student organization devoted to creating a sense of community in the FSU Art Department and displaying student artwork in the greater Tallahassee area. The Florida State University’s Art Student’s League is an organization founded on the principle of promoting the talents of Undergraduate students, and proliferating their art, and the department’s reputation, in the community. We’re striving to be a growing community of art-centric organizations focused on gathering and sharing information with everyone. For more information on FSU’s Art Students League, please visit: http://fsuasl.wordpress.com.